The Land and The Spirit Israel Experience! 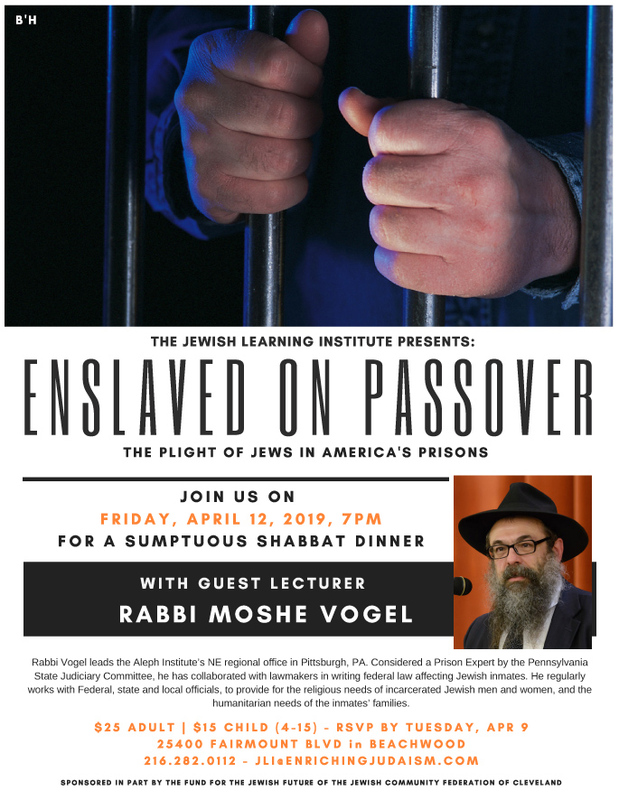 Shabbat Dinner - "Enslaved on Passover"
The Land and The Spirit Israel Experience! Shabbat Dinner - "Enslaved on Passover"
Women: Rosh Chodesh Society.... click here for more information. Men: Tanya at Night! "Becoming a Beinoni..." Call 216-282-0112 for more information. New JLI Course: With all my Heart - Prayer. 6 Wednesdays starting May 15. Click Here for more information. New 6 Week JLI Course, Now on Wednesday Mornings OR Evenings!